How to root M3 Note with the Fastest Way – Hello dear AnyIndo users, after we posted some articles related to Meizu, now we are going to guide you to root one of Meizu’smarthphone it is Meizu M3 Note. 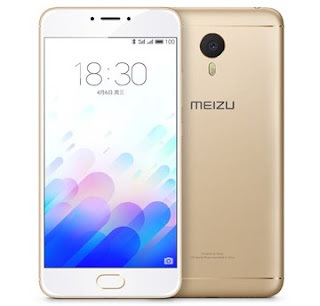 Why you should root Meizu M3 Note may comes on your mind, this question occurred in every person who have Android smartphone and as Meizu M3 Note users you will also get this question, right? Rooting can give you more the advantages such as boost your phone speed and battery life, getting more access on your Android smartphone, remove preinstalled crapware such system etc and much more we can’t tell you here. There are 2 kind of Meizu M3, they are Meizu M3 Note and Meizu M3 Mini. We may helpyou to root Meizu M3 Mini but in this post we just want to focus to Meizu M3 Note only. Sometimes rooting Meizu M3 Note is not for Android geeks only, even a newbie want to root it even though they don’t even know the advantages. In this chance we are going to guide you how to root Meizu M3 Note easily. Go to Settings > Flyme Account and click on Login or Register to create your Flyme account there! Don’t try to root your Meizu Note M3 without having Flyme account! After you have Flyme account and registered there, Go to Settings > Fingerprint and Security. 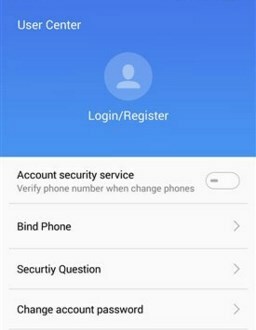 Just click on the Root Permissions option and there you can fill your Flyme account’s password to confirm rooting process for your phone. 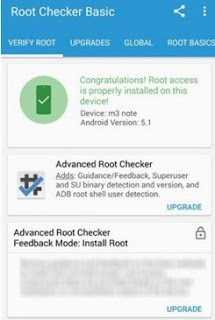 Verify Root access, just download Root Checker application from Google Play Store! Install and launch the application, launch App and grant root access if prompted. Done, finally you’ve successfully rooted your Meizu M3 Note without PC easily! Belum ada tanggapan untuk "Root Meizu M3 Note without PC Less Than 2 Minutes"